San Diego uses glyphosate, which is better known as Roundup® on its playing fields. Are they using other toxic chemicals? Probably. Why are people concerned about these toxins? According to a pesticide Fact Sheet published by the US Environmental Protection Agency, children are more vulnerable than adults because their nervous, immune, digestive and other systems are still developing and are less capable of excreting them. This is because pound for pound, children take in more pesticides relative to body weight than adults. The typical playing field is deluged with a mixture of poisons designed to kill fungus, weeds, and insects. Children come in direct contact with grass, and have repeated and prolonged exposures. California has become the first state to declare glyphosate as a known human carcinogen. The listing was prompted by the World Health Organization’s finding that glyphosate is a probable human carcinogen. Dave Schubert at the Salk Institute for Biological Studies in San Diego states, “There are a number of independent published manuscripts that clearly indicate the glyphosate can promote cancer and tumor growth… it should be banned” (https://www.reuters.com/article/us-monsanto-herbicide/monsanto-seeks- retraction-for-report-linking-herbicide-to-cancer-idUSKBN0MK2GF20150324). What are the people of San Diego to do? Kim Konte asked herself the same question. Her answer was to be part of a coalition called Non Toxic Irvine. The group began a movement to make Irvine as free from toxic pesticides as possible. In February 2016 the Irvine City Council voted unanimously to move to organic pesticides. 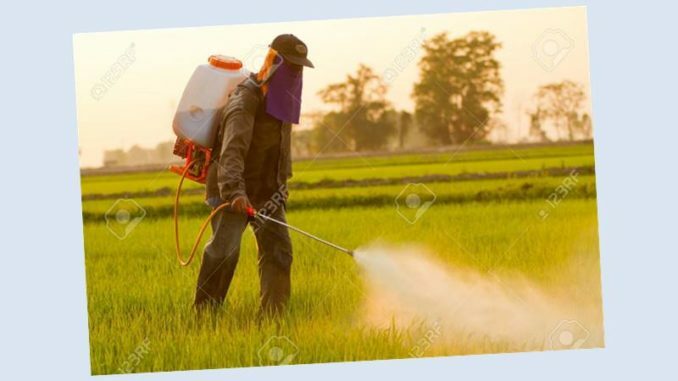 San Juan Capristano soon followed Irvine’s lead and just a few months ago Carlsbad’s City Council unanimously voted to move to organic pesticides. Other Southern California cities that have adopted similar measures include Encinitas, Burbank, and Thousand Oaks. It is up to us to change San Diego City policy. Is there a “Non Toxic San Diego” waiting to emerge to inspire us all?